Welcome to the October edition of the Property Newsletter from Hardwicke. The eagle-eyed amongst you may have noticed that we have recently launched our new website – you can take a look here: with our Property team pages here – I hope you like the new look. That new look also applies to this newsletter, but fear not, the content you all know and love remains. This month, Charlotte John looks at what we can learn from two recent proprietary estoppel cases, James Hall discusses the restrictions on the use of land under Inclosure Awards, and Daniel Gatty reveals his untruth from the last newsletter’s unrobed section. As the residential property market slows and returns on commercial property are threatened by the decline of the High Street, the risk that property owners will look to the professionals who advised them to recoup their losses returns. Members of Hardwicke’s property team consider the Court of Appeal decision in Network Rail Infrastructure Ltd v Williams and Waistell  EWCA Civ 1514. Brie Stevens-Hoare QC has arrived back from her “interesting” but uncomfortable trip around the 5 Stans. She’s delighted to be back at work. Is that because she was back to collect judgments in both Vastint v Persons Unknown (quia timet injunctions) and Reiner v Triplark (parting with possession and consent to assignments when RTM is in place [see below])? Or maybe it was joining the other Freehold board members collecting the “Outstanding Achievement in Property” award given to Freehold. 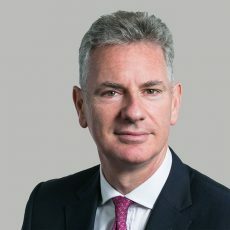 James Hall has been dealing with some truly wacky/niche/fringe stuff this month, including: Inclosure awards and village greens (again) and prof neg arising out of attempted IHT mitigation by way of the transfer of the beneficial interest in a substantial real property into an Estate Protection Trust. 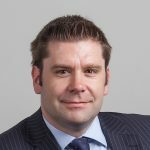 In September Andy Creer drafted an application in the UT in respect of the New Code (Sch3 of the Electronic Communications Act 2003, as amended), attended a mediation on a misrepresentation claim arising from knotweed affecting a property contrary to statement in the TA6 and advised on riparian rights. 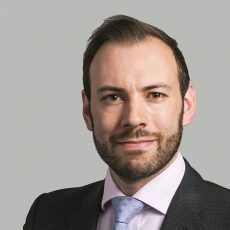 Daniel Gatty had a mortgage-ish sort of a month featuring the other side’s appeal arising from a trial about one mortgage and preparation for a trial about another mortgage – which annoyingly was adjourned on the day beforehand for want of a judge. Plus the usual advisory work about commercial L & T and real property issues. 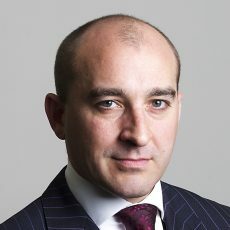 When not attending a Mediator Training Course, Andrew Skelly was seeking enforcement of the schedule terms of a Tomlin Order where a Defendant had failed to execute a legal charge relating to agreed damages of £100,000, and was back in the FtT for several more service charge disputes. 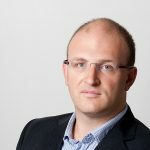 Alastair Redpath-Stevens has had a month of service charge disputes, service occupier issues, urgent pleadings, watching cases being listed and then de-listed, pondering alleged immoral and illegal user and immersing himself in the Inclosure Acts and the Malvern Hills Acts 1884-1995. As well as a pleasant 3 days in Brighton on a FtT challenge to the cost of a £3.3m major works project, Simon Allison has been advising on restrictive covenants, commercial service charges, ground rent rent reviews, options where a tenant had gone into administration, and on various aspects of the operation of the Fire Safety Order. Lina Mattsson loves pouring over old deeds, so has had an exciting month dealing mainly with boundary disputes, mixed with some adverse possession and easements. Been an excellent cure for her holiday blues. Morayo Fagborun Bennett has been dealing with HMO licence violations and obtaining possession orders & injunctions to tackle ASB against housing association staff members. 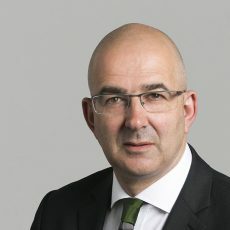 Rupert Higgins has been advising on an injunction restraining a residential leaseholder from carrying out works of alteration without the consent of the landlord, and without a Party Wall Award. 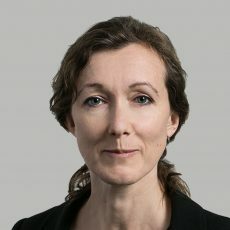 Amanda Eilledge has been advising on company law issues in leasehold management companies, boundary disputes and specific performance of an agreement to remove a restriction from the Land Registry. Peter Petts is sojourning in Calvados. The region and its produce. John de Waal QC has been advising in relation to the recovery of deposits in contracts for the sale of land that have been rescinded. 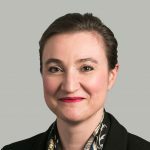 Laura Tweedy has been enjoying advising in relation to property offences and attending court on anti-social behaviour cases. That mixed with a lot of forfeiture work has made for a busy summer. Cameron Stocks’s September started with a week on an island in the Orkney’s with a population of 300. Upon his return to civilisation, Cameron dealt with various tenancy deposit and mortgage possession matters, finishing off the month acting for a tenant in a trial concerning the grant of a tenancy by deception for a failure to declare £106,000 on an application for social housing. And finally, this month Jamal Demachkie has been dealing with warring doctors (against Daniel Gatty) and warring families (against Clare Anslow). He also been preparing for a messy 54 Act renewal, only to have the two-day trial pulled by Central London a few hours before it was due to start. C’est la vie. Screen siren, Mae West, as witty as she was glamorous, is said to have quipped that: “An ounce of performance is worth a pound of promises”. Habberfield v Habberfield  EWHC 317 (Ch). 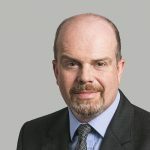 Comment – James Hall – Restrictions on the use of land under Inclosure Awards: how can they be modified or avoided? iii. How those restrictions might be modified or discharged/avoided, if a different use is desired for the land by its owner. Particular focus is given to ‘common’ land and town/village greens used for recreational purposes, as to which rights of common may have arisen under an inclosure award, which have the indirect effect of restricting or preventing many other uses (such as development). 1. The appellant tenant was a long leasehold of a flat managed by a RTM Company in accordance with the Commonhold and Leasehold Reform Act 2002 (the 2002 Act). The tenant wished to sell the flat to Mr Wismayer, but required the landlord’s consent under her lease to do so. Under the 2002 Act, responsibility for giving or withholding consent was therefore vested in the RTM Company, subject to giving 30 days’ notice to the landlord, thereby enabling the landlord to object. The RTM Company, of which at that time Mr Wismayer was the sole director, did not give notice to the landlord. This was a deliberate decision by Mr Wismayer who was concerned that the landlord would object. RTM Company neither refused consent, nor gave consent for the assignment. 2. The tenant contracted to assign her interest to Mr Wismayer whether or not consent was given. The contract provided for completion on that basis to be at Mr Wismayer’s risk. The assignment was completed pursuant to the contract, the purchase price paid, the tenant vacated and Mr Wismayer took control of the occupation of the flat. 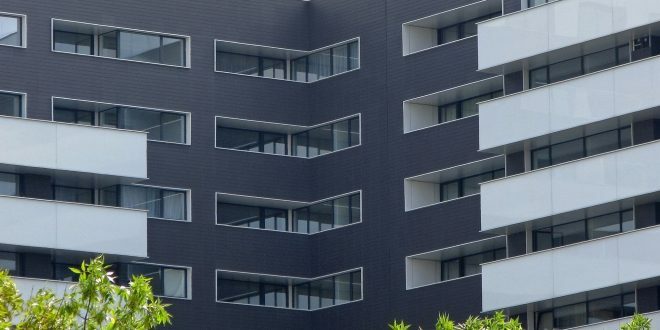 Before the assignment was registered, the landlord applied for a restriction preventing registration and made an application to the First-tier Tribunal for a determination under s 168 of the 2002 Act that the tenant had parted with possession of her flat in breach of the covenant. The landlord succeeded before the FTT and the Upper Tribunal. I. did Ms Reiner part with possession of the flat? II. If she did part with possession, was the failure of the RTM Company to give consent an unreasonable withholding of consent within section 1 of the Landlord and Tenant Act 1988 (LTA 1988)? 4. After analysing the meaning of “parting with possession” and applying the analysis set out in Clarence House to the facts the Mr LJ Richards (who LJ Holroyde and LD Arden agreed with) held that “the inescapable” conclusion was that the tenant parted with possession on completion of the sale of the flat. She had given up physical possession and control of the flat by removing all her belongings and delivering the keys to Mr Wismayer. Equally comprehensively, she ceded all legal right to possession of the flat by completing the contract to assign her interest as lessee; the flat was expressly sold with vacant possession. The fact she still held the legal title as bare trustee did not mean she could not have parted with possession. 6. The Appeal was therefore dismissed. 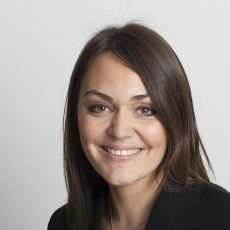 Brie Stevens-Hoare QC acted for the successful respondent. Each month, a member of the Hardwicke property team gives us three facts about themselves. But only two are true. Can you guess which two? 1. After leaving university I was paid to watch television for 18 months. 2. I used to be a tabloid journalist. 3. Some of my photographs have appeared in an exhibition. 1. is true, if a slight exaggeration. After graduating, and before deciding to become a barrister, I took a job in a consultancy that advised TV production companies and stations in the UK, USA and Australia about the likely popularity of programmes in development. It involved sitting through an awful lot of television … and a lot of awful television. 2. is untrue although in my early days at the Bar I did supplement my income by doing night lawyer shifts at the Daily Mirror, checking copy for potential libels and contempts of court. And before you ask, no, I don’t know anything about phone hacking. 3. is true albeit the exhibition was a local one, not quite at Tate Modern or National Portrait Gallery level. I have also had one of my photographs used in a travel guide to Boston (Massachusetts, not Lincolnshire). Sadly, neither event led Vogue to offer me the front cover. To find out more about our Property Team and their work, visit the property page on our website. To view a copy of our privacy statement, please click here. The Property Newsletter is edited by Simon Allison. Comments or queries about this newsletter? Please get in touch with him!